After the Israelites camped at Rephidim, they moved to the Desert of Sinai. Three days later, there was a thick could over the mountain. A loud trumpet blast is heard. It grew louder and louder and the mountain shake violently. The Sinai Mountain was covered with smoke and the Lord’s presence was there. Then Moses poke and God answered him. 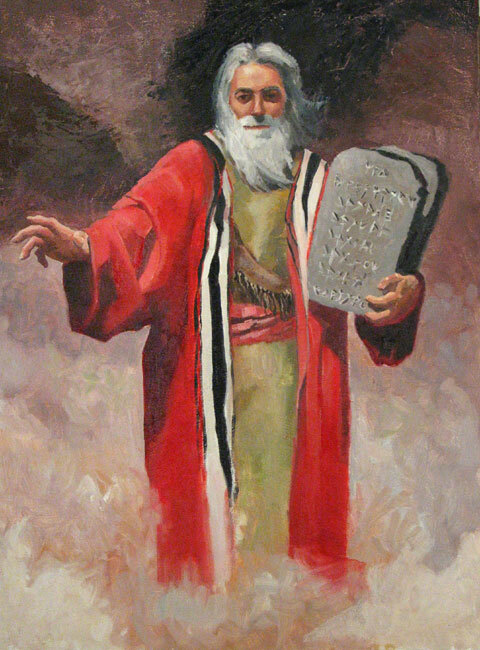 And God spoke the Ten Commandments in the presence of the Israelites and Moses. When the Israelites saw the thunder and smoke, they were trembling with fear. Then the people stand at a distance and Moses stand at where God was and spoke to Him.